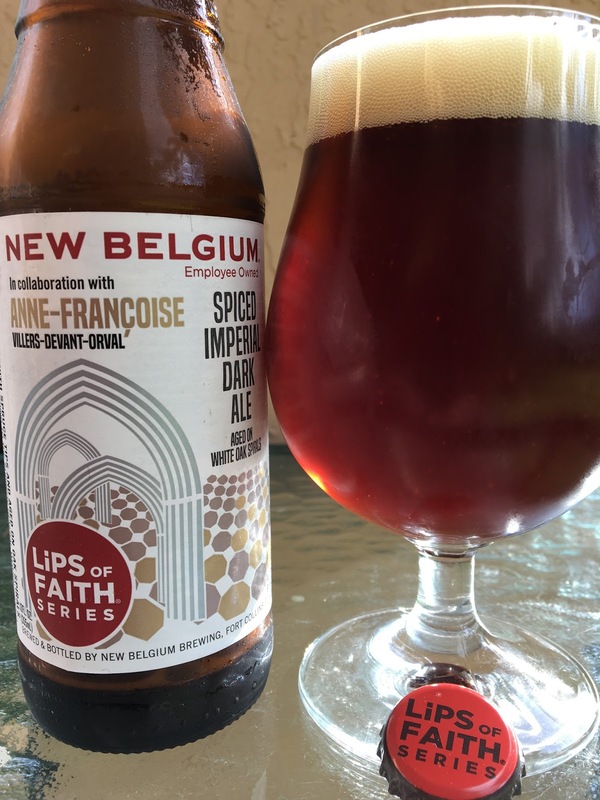 New Belgium brewed a Spiced Imperial Dark Ale in collaboration with Villers-Devant-Orval Brewmaster Anne-Franciose Pypaert to create a new Lips of Faith Series beer. 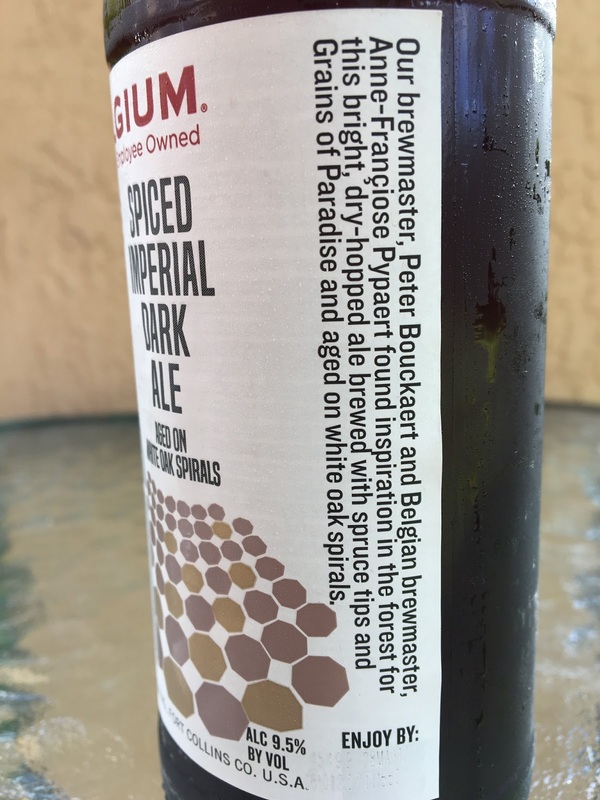 This beer was brewed with Spruce tips and Grains of Paradise then aged on Oak spirals. 9.5% alcohol. Noticeable evergreen in the aroma, but sweet caramel and candied fruit preserves are more prevalent. PLENTY of Spruce and Oak flavors! Caramel, figs, raisins, hint of cherry. A mixed bag of spices and some alcohol at the finish. So-so, kinda Meh.